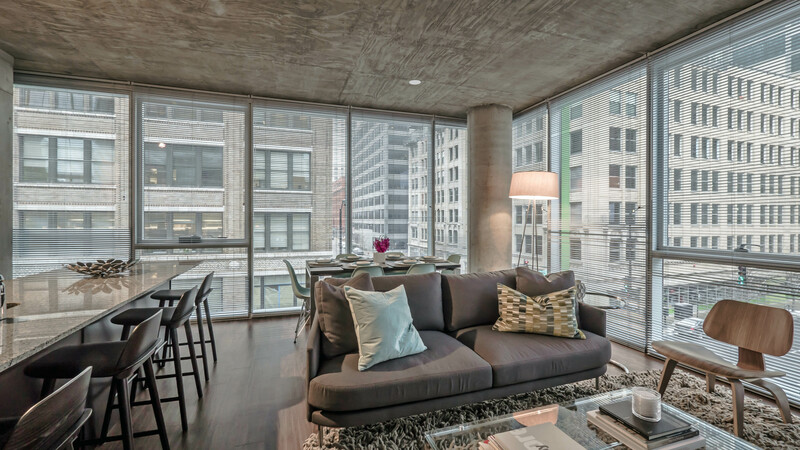 The leasing office and four furnished models opened yesterday at Jeff Jack, a new West Loop apartment tower that’s been drawing a lot of interest at YoChicago. I stopped in for a brief look. 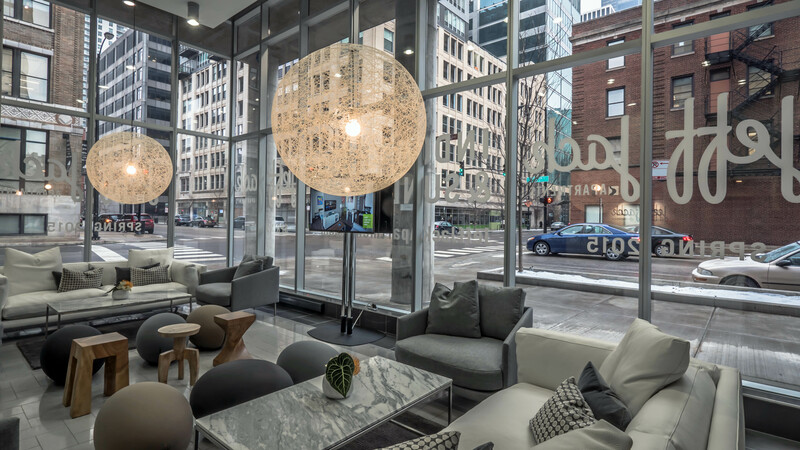 The high ceilings and windows in the lobby, and the muted tones of the furnishings, pay homage to the varied styles of architecture outside the building. 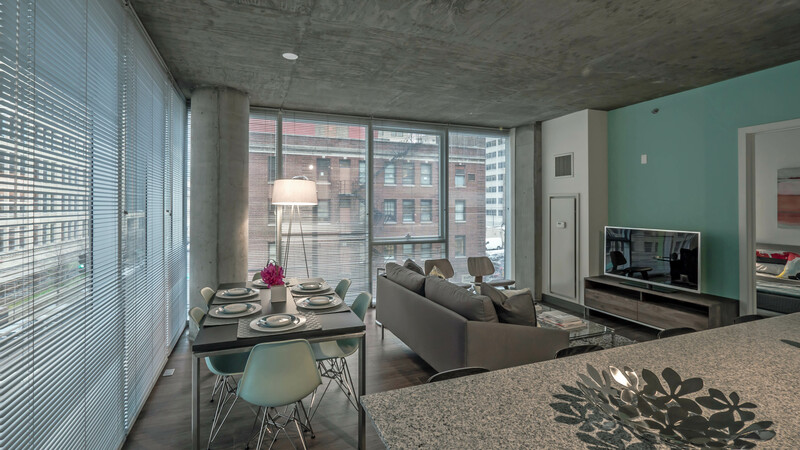 The 2-bedroom, 2-bath apartment I toured was a corner on the fourth floor, with high ceilings, floor-to-ceiling windows and a loft aesthetic. The open kitchen, which has a large island, mixes white and espresso-toned cabinets. 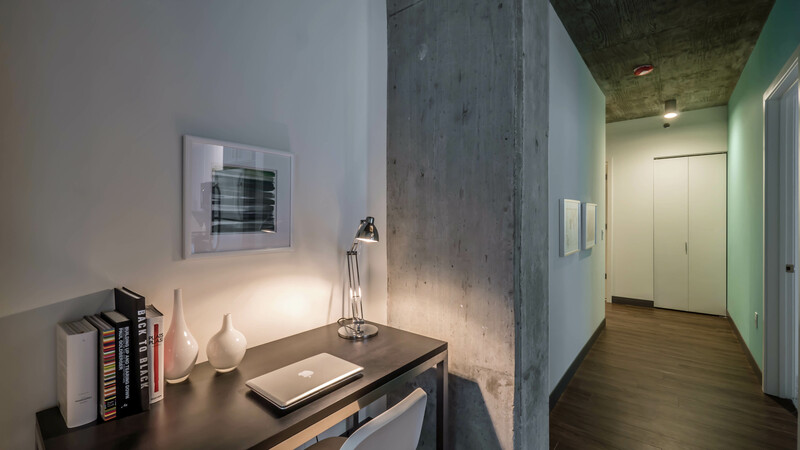 A nook at the end of the entry hall is a good spot for a home-office desk. 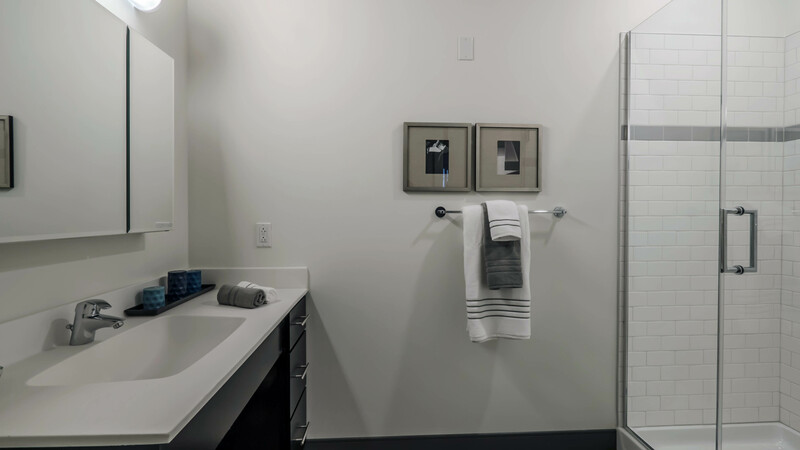 The secondary bath has a stall shower, a sought-after feature. 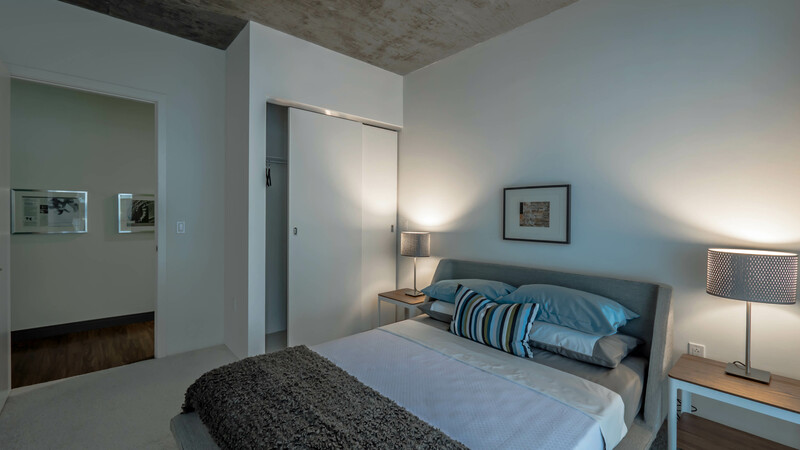 The apartment has the popular split-bedroom layout. 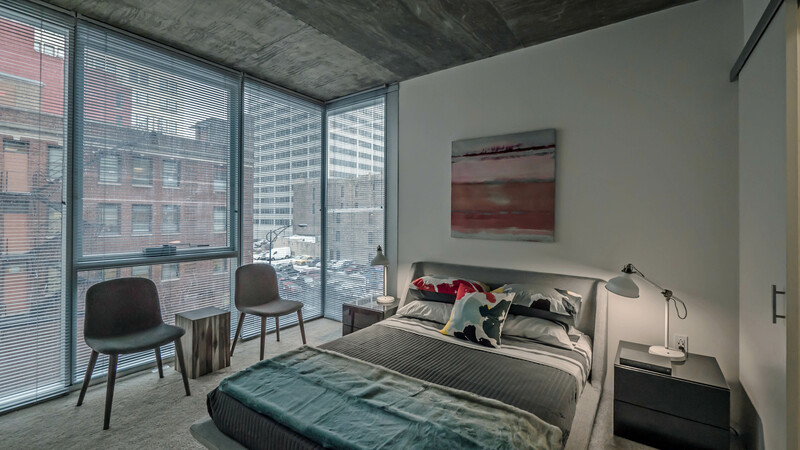 A wing wall of windows in the master bedroom expands the space visually and showcases the urban environment as a great floor-to-ceiling, wall-to-wall painting. 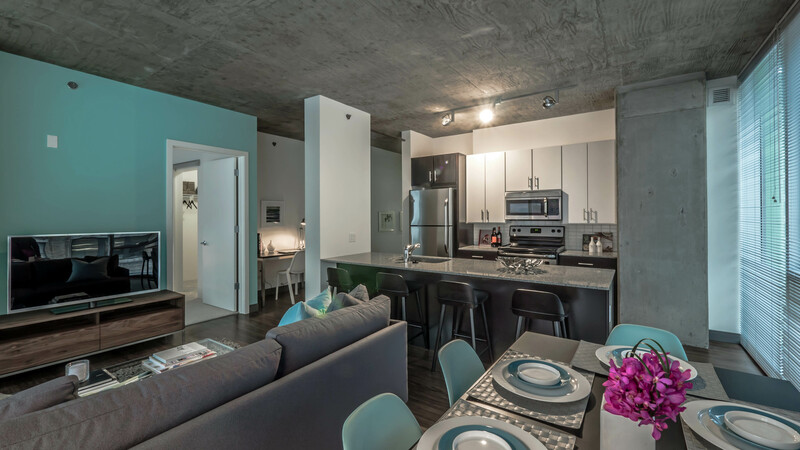 First occupancy for the studio to 2-bedroom apartments is a few months away. 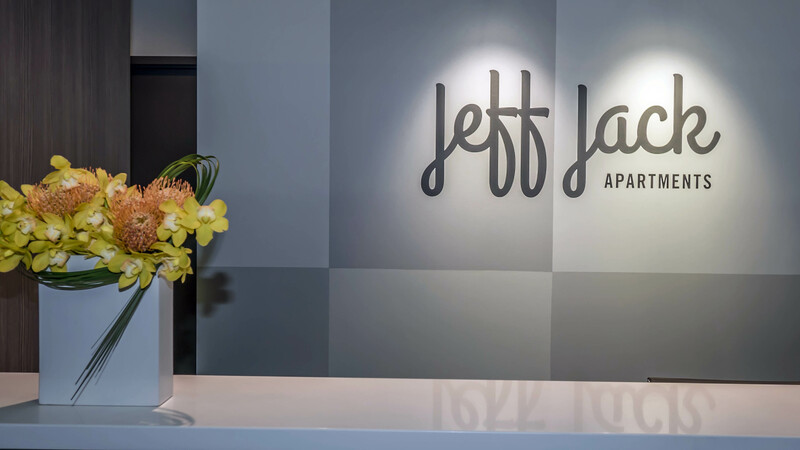 Floor plans are available online, and the Jeff Jack leasing office is open daily at 601 W Jackson.